Whether you are looking to break plateaus, restart your exercise program or just add some variety, there are a number of things you can do to bring back that essential motivation that energizes your workouts and keeps you consistent. Try these tips to reinvigorate your workout, shock your muscles and continue making gains. Staying consistent with your training can be difficult. Sometimes just getting to the gym is a struggle, but having that as your goal is not going to get you the results you really want. If you make it a goal just to get to the gym 4-5 times per week, then you may fall into the trap of going through the motions of your workout. Do too many sessions like this, and your results will plateau and you’ll be left wondering why you are barely making any progress. Intensity and focus are key. Arnold Schwarzenegger talks about how he used to try and put his mind into the muscle he was training, thinking about what he was trying to do and achieve. Similarly, to get the best results you need to know what you are trying to do and focus on achieving that. You don’t need much equipment to get great results, if you’re looking to set up a home gym, or fit out your business, you can get all you need from Little Bloke Fitness. Having the right focus is more important than being a member at the trendiest gym with a sauna and steam room. Rather than sticking to the same workout plan of chest Mondays, back Tuesdays and so-on, try mixing things up with Multi-joint free weight exercises that get your whole body moving. These are going to put your body under more stress and give you more bang for your buck as they are proven to release more testosterone and growth hormone. You can use kettlebells or a barbell. 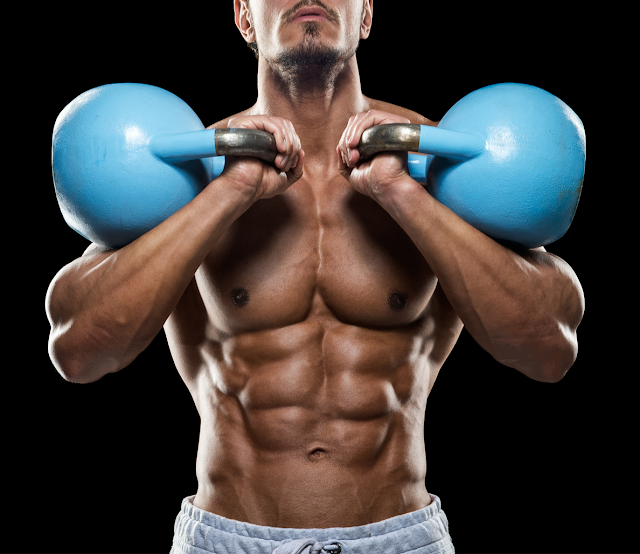 Ensure you keep your core tight and check out correct lifting techniques before diving into these exercises; but adding these to your routine will make big improvements to your strength and fitness. Incorporating some sessions where you target Olympic lifts will help shock your system and boost your strength and muscle growth. Try doing a session centered around 8-10 sets of squats or deadlifts working up from 15-20 repetitions all the way through to your 1 rep maximum. Do this, followed by a few other simpler exercises that target smaller muscle groups, but you should be spent after doing your focus lifts. This may sound counter-intuitive, but let me explain. Most young lifters workout at maximum intensity, throwing weights around and burning their muscles out. Taking every set to failure may feel like you are working hard and training to the max, but it has been proven to offer you no additional strength gains and may in fact be doing your progress harm. Try instead to focus and squeeze your working muscles on every set. Slow things down, involve your core, work the stabiliser muscles, get your technique right and work smarter rather than harder. On the subject of working to failure, don’t chase the pump from the beginning of your workout. Training for that feeling of the blood rushing to, and expanding, your muscles should be left to last. Get your heavy work done first. Start with compound exercises then move to the targeted exercises and machines and finish with high-volume training to get that pump and exhaust your muscles. If you jump the gun and tire your muscles out too early, you will experience decreased strength and won’t be able to work your muscles to their maximum in your early strength and mass building compound exercises. It’s all about working smarter. You may have to drop your ego at the door as you walk into the gym. The weights you use might become lighter than what you used to throw around, but by training smarter and using these techniques, you will boost your exercise regimen and help you break through plateaus.